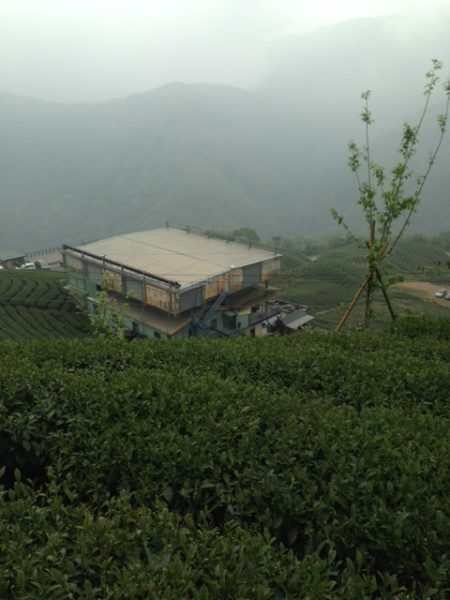 At an elevation of about 5,000 ft. is the tea growing area of Shan Lin Xi. 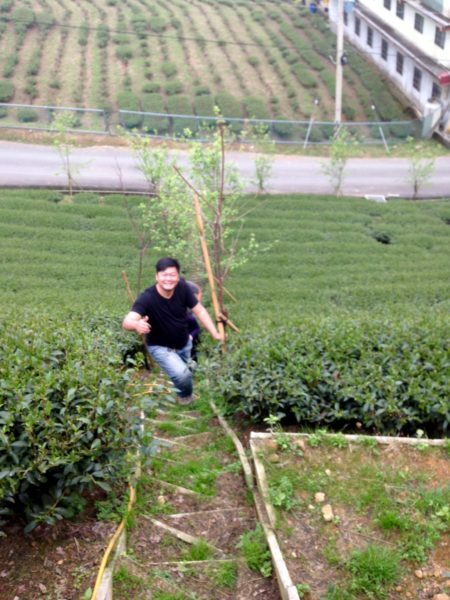 I have tasted and loved the tea well before coming to Taiwan, so was excited to know we would be visiting the area. This is a jade oolong, a lightly oxidized tea with no roast. Its character and complexity is due to the slow growth in the cooler temperatures of this high elevation. 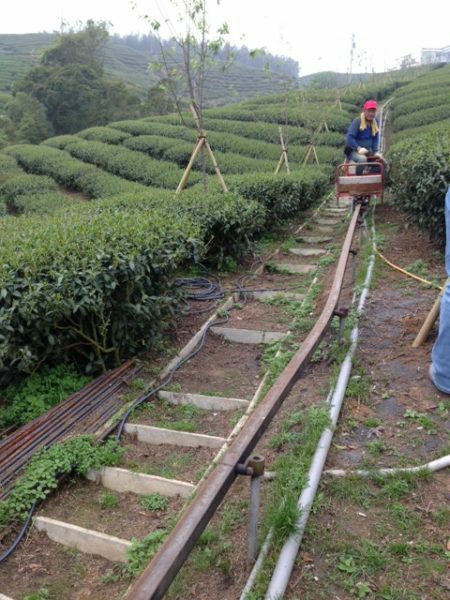 While many other lower elevation oolongs were being plucked in mid-April, San Lin Xi was still two weeks away from leaf-readiness. This is not an easy place to get to: the roads are about one car width, kind of decaying in places, and lots of twists and turns. 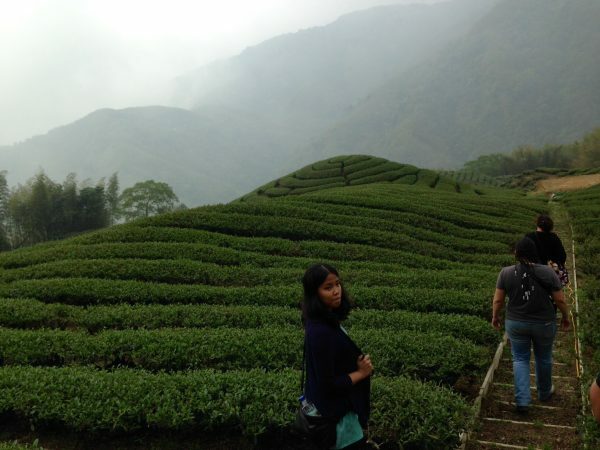 The area was indescribably beautiful though with native evergreens, intermittent bamboo outcroppings, and very steep hillsides terraced with tea plants. The mist hanging on the mountains was present almost the whole day and moved in even heavier toward late afternoon. What really resonated with me though was the quiet, spiritual strength of the area—you just knew you were in a very special place. 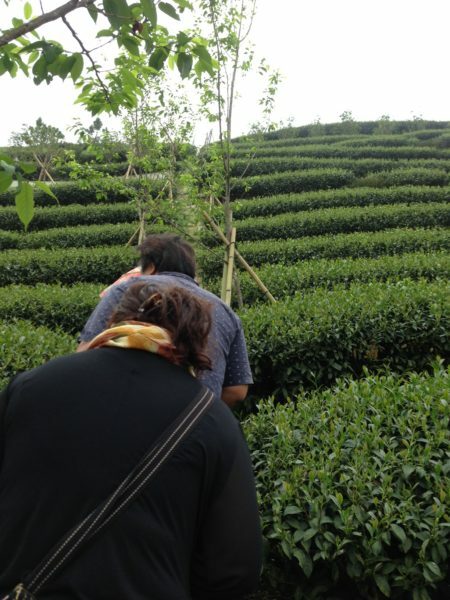 We visited a tea garden and were given a guided tour by the owner, following her energetic footsteps up the narrow path between rows of Camellia sinensis. At one point she had us board a very small “train” used to transport tea, people, and tools up and down the mountain. After our tour we were treated to cold-steeped San Lin Xi for refreshment—it was divine. I hated to leave the area, but we had a long journey back to our home base in Mingtian. Every time I drink this tea now, I’ll think of the loveliness and quiet of the area—it adds so much to my tea experience. « Previous Post: the tea will tell you….